This DVD study is geared towards youth ages 8 and up, yet has become popular with all ages because of its foundational Biblical teaching. This class is 8 weeks and incorporates videos, audios and a study guide. Great class for the whole family! If you have ever felt yourself entrapped or addicted to anything in this world, such as food, disrespectful attitude, cigarettes/alcohol, TV/videogames, lust, money or anything else, and couldn't break free, this is the program for you! Come experience God's deliverance from anything that has enslaved you. You will hear from children, teens and young adults who have exchanged a passion for things that robbed them of looks, time and money with a focus and love for God. Only God can set you free forever. You will never be the same! The Last Exodus is truly a break-through for this generation! 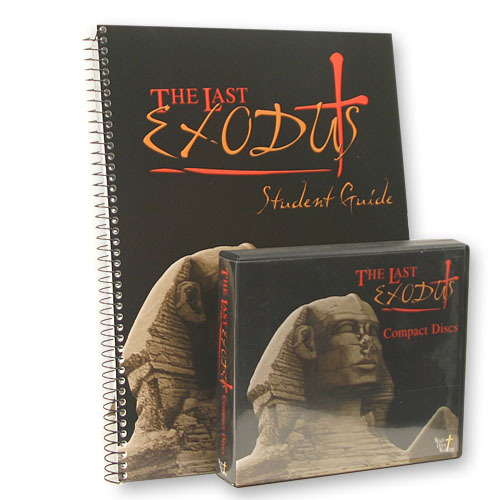 Click HERE to view a promo video for The Last Exodus seminar! Originally developed as an 8 week class....but now available as an "At Home" self-paced kit. This set includes all 8 lessons on DVDs, CDs, & workbook. Bonus Gift: Downloadable MP3 Audios and PDF Workbook included with Set (for home sharing)! from Colorado This seminar saved my life!! I took this seminar when I was 11 years old and approaching obesity. My mom was very overweight too and was out of answers after a lifetime of unsuccessful dieting. We look this The Last Exodus seminar together, and it sent us down a path of change and freedom!!! We both learned how to stop going to food for comfort and how to go to GOD for love, care, and comfort. I know I would have a HORRIBLE life now had I not found a relationship with God, and I'm so thankful for Weigh Down's The Last Exodus for helping me find Him!! !